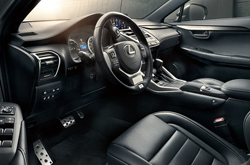 The Lexus NX 300 has been an incredibly popular luxury crossover option for several years. In 2019, Lexus is hoping to build on its momentum from 2018. They've carried over most of the popular features from the 2018 model. Customers are sure to appreciate the spacious backseat, folding seats, quiet cabin, and other amazing luxury features. The Lexus NX 300 has the luxury features, safety features, and horsepower necessary to impress luxury-minded consumers. 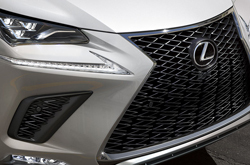 What Are The Trims & Features for the 2019 Lexus NX 300? The NX300 offers three trim levels. The NX300 is the most basic trim level, it features wi-fi, a power rear door, and amazing safety equipment. Many consumers would be happy with this trim level. The NX 300h includes the features you'd get from the base model, but it is also a hybrid. Additionally, the NX300h is a hybrid. This allows drivers to get increased gas mileage. Additionally, the NX300h includes a 10.3-inch infotainment screen. the NX300h is an incredible option. The NX 300 F Sport is a sportier trim level for people that want a more driver-focused experience. This trim level includes Adaptive Variable Suspension, which makes the driving more dynamic. This trim level also features sport seats and turbo-boost gauges. This model will make your driving experience extremely fun. All three trim levels are great options for shoppers. 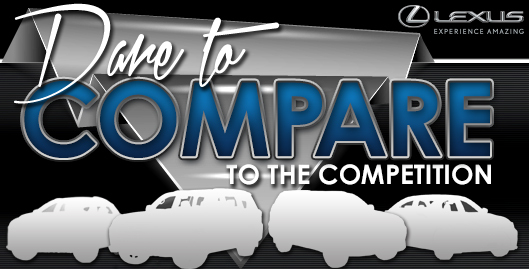 Car shoppers should sort through their options and pick the one that best fits their needs. Lexus is known for producing luxurious vehicles, but in recent years they have started looking at performance. The NX300 and NX300 F Sport offer 235 horsepower. This powerful engine offers great performance. You'll go from 0-60 MPH in 7.2 seconds. You'll easily be able to merge onto the highway with this vehicle. The NX 300h is a little slower. It only offers 194 horsepower and you'll have a 0-60 mph of 9.1 seconds. The engine within the NX 300 is very competitive when compared to other luxury crossovers. Safety features have been an incredibly popular addition to luxury vehicles over the last few years, and the 2019 Lexus NX 300 is no exception. Lexus has incorporated three incredible safety systems to keep drivers and their passengers out of trouble. The Lexus Safety System+ is designed to mitigate accidents. This system alerts the driver of front-end collisions. This safety system will also help you stay in your lane. Lexus has also included a blind-spot monitor into their vehicles. These monitors watch your blind spot and will warn the driver if a car is in their blind spot. Drivers will never have to worry about accidental side-to-side collisions on the freeway again. As part of this system, Lexus has included a cross-traffic alert system. Cross traffic is a major threat to your safety, especially when backing up. This alert system keeps an eye out for cross-traffic, immediately alerting the driver if an accident is about to occur. 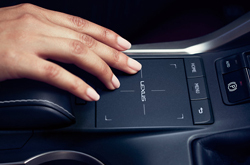 One final safety feature included in the Lexus NX 300 is the Enform Safety Connect system. This system allows you to connect to roadside assistance. The system ensures that you get help quickly when you need it. If there is a collision or a stolen vehicle the system will connect with the authorities. The safety features in the NX 300h are incredible so it's no wonder that the NHTSA gave the NX 300h a five-star review. The Lexus NX 300h is an incredible crossover, and consumers looking for a luxury vehicle should strongly consider this vehicle. It is well-equipped and it will keep you and your family safe. Purchase prices do not include tax, title, license and $489.00 doc fee. Prices include the listed rebates and incentives. Please verify all information. We are not responsible for typographical, technical, or misprint errors. Inventory is subject to prior sale. Contact us via phone or email for more details. *MPG Based on 2019 EPA mileage ratings. Use for comparison purposes only. Your mileage will vary depending on driving conditions, how you drive and maintain your vehicle, battery-pack age/condition, and other factors.